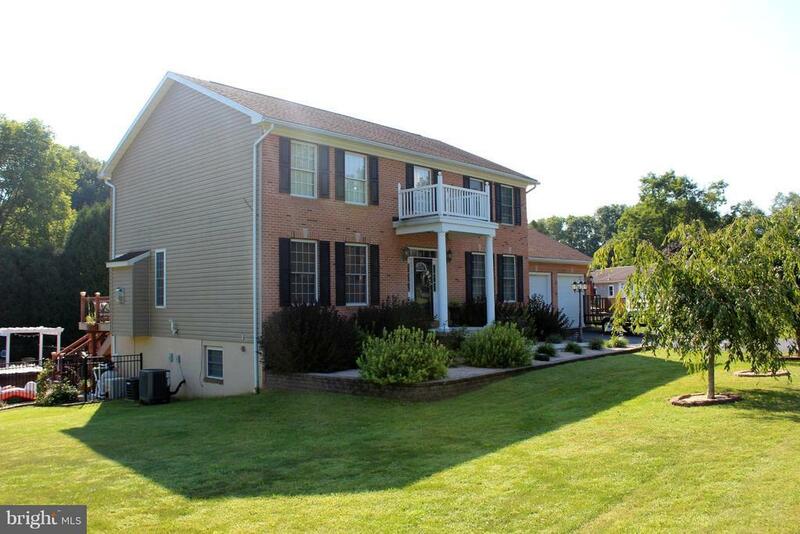 Luxury 5 Bedroom, 3.5 bath Colonial with Upgrades Galore! Custom Kitchen with marble counter tops, maple cabinets, slate flooring, sub zero frig, sep. two drawer freezer, wine frig, Wolfe cooktop, & beautiful tray ceilings. Hardwood floors, crown molding, chair railings, & trim details throughout. Entertainers paradise- Rear deck leads to heated saltwater pool, hot tub, pergola with gas firepit. Full basement with bar & large room for gym, game room, or family room. Stunning stone fireplace in LR. Formal Dining Room. Every inch of this like-new home has been upgraded! New vanities, light fixtures, door hardware, paint, etc. Oversized garage offers tons of storage. Great location- just minutes from Maryland line. Directions: From Fairfield: 116W, Left on 16, quick right on to Ranch Trail, Right on Fruitwood Trail, Left on Redbud Trail.